Will update this post on Monday! Terribly sorry for posting something half written :( I'm done the book, I just haven't the time to reflect right now, unfortunately. This book was my first foray into reading something by such a great and esteemed author. I'm very much a reader of the modern novel, but I have been interested in getting into the 'greats' such as Hemingway and Fitzgerald and Kerouac and all the others from different eras. 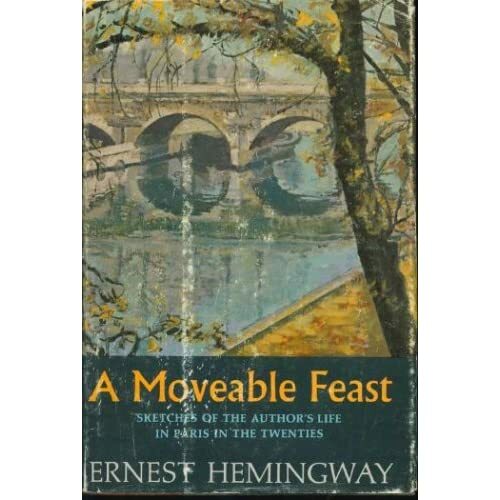 Because of my interest in the subject matter, I decided A Moveable Feast was as good as any a place to start. I very much enjoyed this book, even if it isn't very representative of Hemingway's actual 'literature.' I love his crisp writing style, which I've gathered is something he's well-known for (don't look at me that way! I have nobody to teach me about these things, I'm learning as I go).